Posted on October 3, 2014 by PADI Asia Pacific. As Debris Month of Action comes to an end, I thought I’d take the opportunity to catch up with one of our first Dive Against Debris Distinctive Specialty Instructors who has taught the course. 1. Tell us about your first experience with Project AWARE / when did you become an AWARE diver? I began diving when I was 12 years old and I knew then that our aquatic world was important but Project AWARE had not yet been founded. After a hiatus from diving I came back into the diving lifestyle with my wife, Theresa, when she decided to get her PADI Certification. I elected to re certify with her so we could enjoy the same training experience together. This was when the world of Project AWARE was opened for me and for Theresa. As an adult during the certification process I was able to truly grasp the significant role we as divers can have as ambassadors of our underwater world. Theresa and I are both PADI IDC Staff Instructors now. One of our highest priorities as dive educators is teaching divers, whether new to diving or a seasoned professional, about our important role in protecting the aquatic resources we enjoy as divers. My experiences with Project AWARE have been wonderful. The support received from Project AWARE in being able to provide quality education and training to divers about our aquatic environment is in a word, fantastic. 2. 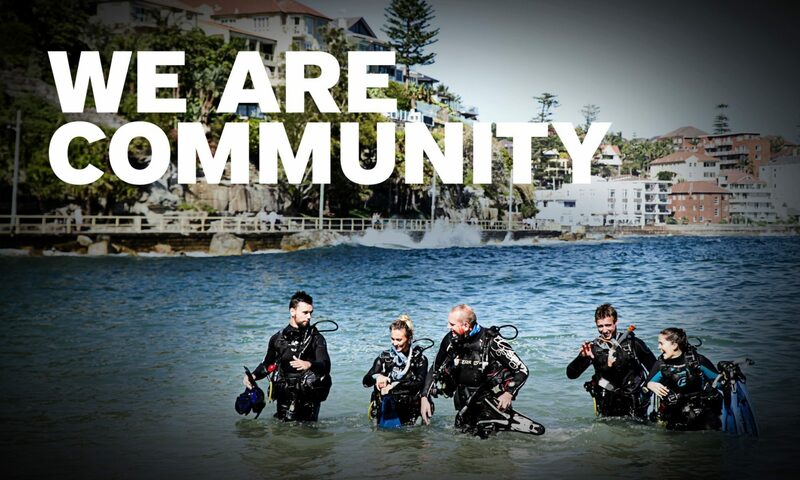 Why did you take the Dive Against Debris Specialty Course? When the Dive Against Debris Specialty Course was published I recognized the value of this course in several areas. First, it provides a curriculum to introduce divers of all levels to Project AWARE and the goals and objectives of the organization. Second, using the “make every dive count” philosophy is a great way to keep divers diving. When divers learn through the Dive Against Debris curriculum how to make every dive count I believe divers become more engaged with the diving lifestyle. Third, by including the Dive Against Debris Specialty as an additional dive immediately following the PADI Open Water Diver course OW dive 4, I believe our newest divers will recognize the fun and importance of continuing education within the PADI system. 3. Why is it important to you to protect our marine environment? A person who is not diver (yet) stands on the beach and can only see the surface. They generally see a vast expanse of water. A person that does not dive has not experienced the life and beauty that lies just below the waves they see from shore. As a diver I have had the privilege to experience the wonder of the world the lies just beyond the sight to those standing on shore. When a person becomes a diver and experiences the aquatic world as a place of life, beauty and wonder they, like me, come to realize how important it is to protect our marine environment. 4. Why should others get involved with Dive Against Debris? When divers become observant and AWARE of the marine environment they will generally find locating man made debris happens on almost every dive. I believe every diver will become motivated to make every dive count through the Dive Against Debris program. Hopefully, we as divers will get more involved and we will begin making an impact in the areas that we dive. 5. Why is it important to you to collect and report your Dive Against Debris data? As the Dive Against Debris community’s database increases regarding marine debris, we will be able to track the positive impact we have as dive sites become more and more debris free. Also, by diving and reporting data to determine debris patterns we may be able to recognize contributing factors on land that can be addressed and reduce the amount of debris entering our marine environment. 6. What feedback did you receive from your students during and after the Dive Against Debris Specialty? The students that took the Dive Against Debris Specialty said the course has given their diving a new purpose. Some of the divers in the project dive just to explore and sight see while others were avid photographers. All of the participants said that debris removal and reporting data can be a secondary objective to every dive they do in the future. Carrying a mesh bag takes up almost no room in their kit and can easily be deployed to make off of their dives count when they find debris that needs to be removed. Take the plunge now – all the Dive Against Debris Distinctive Specialty resources are available here simply contact PADI to get the Instructor rating or take the Specialty at a PADI Store near you.